300 E. Camino Real Ave.
Why do so many realtards insist on writing their entire description in ALL CAPS? It’s very difficult to read and I feel like they’re screaming at me. What do they mean “OWNER WILL GRANT 5 FEET TO THE NEIGHBOR?” Five feet from where? Five feet along the entire east side of the house? Why would I want to do that? And who cares that there’s “NO TERMITE ON BOTH THE HOUSE AND THE GARAGE” because it’s a BBQ’d house anyways. Since the house has fire damage and they’re selling it for land value only, they’re asking $899,900 for dirt. It’s for 16,082 sqft of dirt, but all you get is dirt. Actually no, you get dirt plus a burnt down house that you’ll have to pay to bulldoze before you can get a city permit to rebuild on the lot. Would you pay $899,900 for dirt when you can get a 2000 sqft house behind the lovely arboretum? Don’t give me that bull about building PUDs or condos on that big 16,082 sqft lot to sell for a profit. Even if the property is zoned for that kind of development, the RE market is too dead to turn any kind of profit for the next several years. This looks like yet another case of complete separation between the asking price and market conditions. I don’t see a transaction at this price. How much would you pay for this property? 10420 E. Live Oak Ave. This speculator-investor didn’t get the memo so I better spell it out for him again – the US housing market is dead. These people are either really greedy or really stupid. I can’t figure out which it is, but it’s probably a bit of both. This is a classic flip and my guess is this person watched too many HGTV shows like Flip-That-House and Property Ladder. This flipper bought the property just 5 months ago in August of 2007 for $610k. At that point, the market was already showing signs of serious issues and softening, yet this flipper was so inundated with greed that they proceeded with the flip anyways. From the looks of it, they updated the kitchen, bathroom and flooring. For a mere $899,00 they threw in some shutters as a bonus. If you made $250,000 annual income, would this be the kind of house you would want to live in? 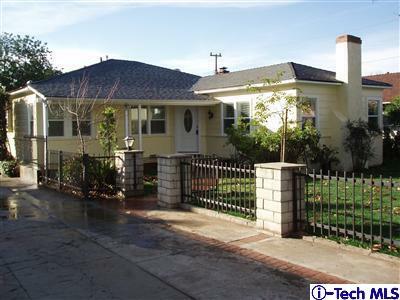 While both the house and the lot is of good size, it’s located at the very south part of Arcadia near Temple City and El Monte. A house in that neighborhood doesn’t warrant the $899k asking price. In addition, they got lazy during the renovations because they didn’t even bother to get a permit for the bathroom addition. That makes me wonder what other corners they cut during construction. Let’s take a look at their numbers. I’m surprised to see this flipper put as much downpayment as he did when he could have probably gotten away with just 5%-10% down. Regardless, if he gets his asking price of $899,000 and taking into account the above assumptions, he stands to make $227,635 before paying capital gains tax. That’s equivalent to mind-boggling $45,527/month! In this credit-crunched market, there are no more liar loans or 0% down. Assuming there’s a lender willing to do just 10% down, that would leave a mortgage of $809,100. With no more secondary mortgage market, that’s a jumbo loan at say 6.5% for someone with a great FICO score. That’s a monthly payment of $5,114 excluding insurance, taxes and maintenance. How buyers out there have a 700+ FICO score, $90k cash for downpayment, documented income and can afford a $5,000 monthly mortgage payment? And how many buyers that qualify would want to buy this house? Not many, if any. 26 E. Camino Real Ave. 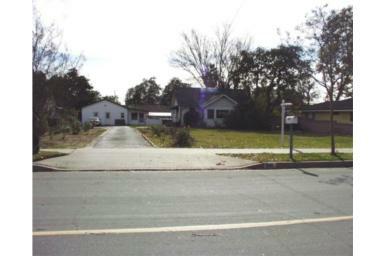 This is brand new construction that was completed in 2007 by an investor who was obviously looking to make some money. It’s a typical McMansion home complete with the ugly 1990s peachy, pink exterior wall color. The interior is actually quite nice with the open layout, big windows and tray ceilings. Unfortunately for this seller, those features won’t be enough to bring in the $2.78MM asking price. I saw this property on Redfin about 4 weeks ago, but it’s posted as a new listing so the realtor took the listing off and re-listed it to reset the days-on-market counter. It’s probably been sitting on the market for quite some time. I think this seller drank so much kool-aid during the boom that both he and his realtor are now completely separated from reality. This is suburbia town Arcadia – not Newport Beach, Brentwood or Beverly Hills. My guess is someone making $695k annual income who can afford over $14,000/month mortgage payments won’t chose to live in Arcadia. I for one would prefer a home in Newport so I can wake up to the Pacific Ocean. Even if a buyer preferred a suburbia community in the San Gabriel Valley, they would certainly choose San Marino over Arcadia. Anyways, I didn’t post this listing only because its overpriced. The main thing I wanted to share with you is this property’s previous sale history. According to Redfin, this particular seller bought in 2005 for $1.1MM, but what’s more interesting are the five transactions before that. As you can see, the previous house that stood on this property sold for $842,727 in 1992 during the initial decline of the previous bubble (which peaked around 1990). Over the next 9 years, it’s price reductions take off in a logarithmic fashion starting with -1.5%/yr between 1992 and 1993. Over the next 6 years, it would lose a 5.2% each year before coming to a sale in 1999 at $602k. From there, the market continues to plummet a whopping -21.3%/yr over the next 2.5 years to rock bottom in 2001. That makes a total decline of $517,727 or 61% off from peak to bottom. But I thought real estate is always goes up and everyone wants to live in sunny southern California so prices would never drop here. What happened? Market correction happened. This is a wake up call for the sheeple to stop drinking the kool aid and face the facts. 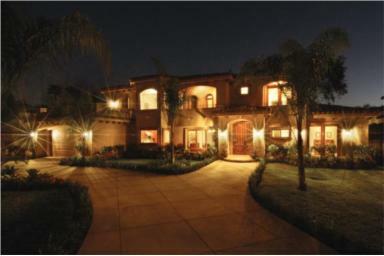 Arcadia home prices will fall and contrary to what the realtors say, it is not immune to the current market conditions. It wasn’t last time and it won’t be this time either. 31 Woodland or 31 Flavors? The seller flipper at 31 Woodland Lane must be high on all 31 flavors of Baskin Robbins ice cream. The property has been on the market for 257 days and there’s no sign of any price reductions. It was previously purchased for $1.4MM just 13 months ago and the buyers want to make $324,980 for doing nothing. That’s the equivalent of making $25k/month! This is a gorgeous property located in the coveted Santa Anita Oaks area, but after almost 9 months on the market, there’s clearly no interested buyers at $534/sqft. It is highly unlikely that these folks will get their asking price in this kind of market. With much tighter lending standards and widespread news of the housing crisis, it would take a steep price reduction to get it sold. Besides, if I had $345,000 cash, I certainly wouldn’t use it as a downpayment on a depreciating asset. I picked this house to profile because it depicts the naive mentality of buyers during the boom. This flipper put the house back on the market just 4 months after it was purchased hoping to make a quick buck. Regardless if he truly believed in forever double-digit appreciation or not, it was greed that sparked the flame. As of January 2008, he can either reduce the price and take a moderate loss or hang on and end up losing a lot more down the line. As a side note, this is a beautiful house and in a sense captures why I love Arcadia. It isn’t one of those ugly McMansions, but a well design traditional ranch style home. Although its kitchen and bathrooms seem a bit dated, it has wonderful landscaping and curb appeal. Because of its size and location, it could be a million dollar home, but the market has clearly made a statement that it’s not worth $1.7MM. The flipper just doesn’t want to hear it. We can go in depth into why this isn’t Sierra Madre Housing Blog or Pasadena Housing Blog, but it’s simply because I live in the Arcadia area. I frequent its restaurants, use its roads, go to its parks and spend much of my time here so it’s convenient for me to scope out properties, keep up with the news and track local market trends. And with that, I will provide some insight into the city which this blog is based on so readers from all over the world understand its economical, social, geographical and historical background. Arcadia is located in sunny southern California about 15 miles northeast of Downtown Los Angeles, nestled at the foothills of the San Gabriel Mountains. 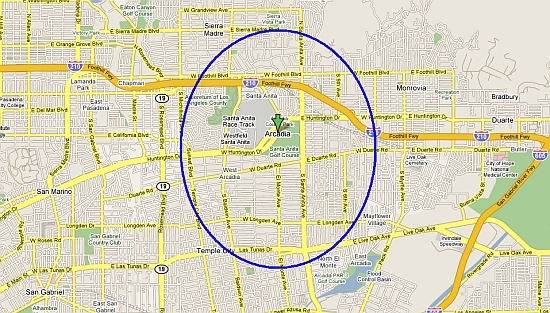 Its surrounding cities include Pasadena, Sierra Madre, San Marino, Temple City and Monrovia. Per the US Census Bureau, it has a total area of just under 29 sq-kilometers. It’s comprised of two zip codes: 91006 and 91007. Like all the cities in California, it used to be inhabited by Native American Indian tribes before the Spanish missionaries entered the picture. As they moved in, the Gabrielinos suffered both enslavement and exposure to deadly, new diseases. Shortly after, a large portion of the city today was sold to a wealthy Scottish immigrant, Hugo Reid, who held it for over 35 years before selling it to Lucky Baldwin in 1875. It was Baldwin who brought in more business to the town, growing it to a population of 500 before the cities official incorporation in 1903. Many of today’s streets such has Baldwin Avenue and Santa Anita Ave (named after Baldwin’s daughter, Anita) stems from his heritage. 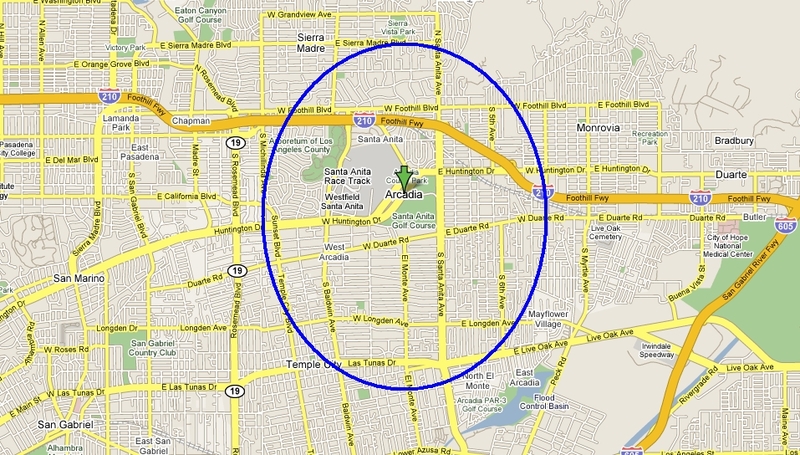 Today, Arcadia is an upper-middle class suburban city with an estimated population of 57,000 people. The city’s economy is largely supported by recreation and trade. The Santa Anita Race Track brings in substantial revenue through frequent horse races. The Westfield Mall (previously known as the Santa Anita Fashion Park) is a big shopping center in the area. It was recently expanded in 2005 and discussion for further expansion is underway to build the biggest retail mall in the county. Aside from the two financial giants, Arcadia has a slew of small businesses in its downtown district, along with a handful of chain restaurants along Huntington Drive and a couple of corporate office buildings to bring in revenue for the city. The Methodist Hospital on Huntington Drive is also a contributor. There are many parks in the city, but the most prominent one is the Arboretum and Botanic Garden. The area on which it resides and the park itself belongs not to Arcadia, but to the Los Angeles County when its 111 acres were handed over back in 1947. The Arboretum is home to the famous peacocks that roam the grounds and beautiful surrounding neighborhoods. It’s also home to the Ruth and Charles Gilb Historical Museum which documents the city’s heritage. Not far from the museum is Arcadia’s High school and public library, which was incorporated in 1920 and expanded throughout the years – including the renovations made in 1996. It consists of a new auditorium and over 160,000 items such has books, articles and tapes. Arcadia’s demographics was largely dominated by Caucasians until recently when many Asian families, particularly those of Chinese decent, moved into the area for its safe neighborhoods and good schools. 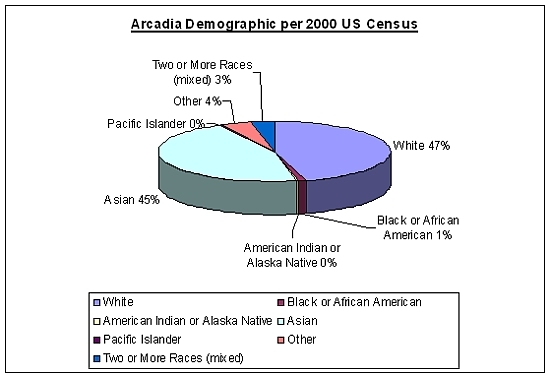 Today, Arcadia is roughly 45% Caucasian, 45% Asian and 10% other. It’s hard to ignore the Asian community when its banks, restaurants, supermarkets and people have taken over many parts of the city. Arcadia is a great place to live. 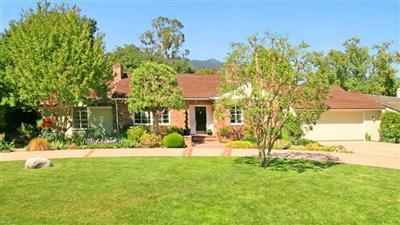 It has great schools for families with children and offers quiet, safe suburbia neighborhoods throughout. It has housing products for every budget – from apartments and condos to detached units and single family residences. The city has a rich history and great pride in the community. Its proximity to the foothill mountains and nearby powerhouse cities like Pasadena make Arcadia a highly desirable location.